Nothing conveys professionalism like a solid business card. And if you run a small business and plan to engage in any sort of in-person networking, you better have one to trade. Your business card is an introduction to the look and feel of your business. Like it or not, a potential customer or contact may form an opinion about who you are based on the visual attributes of your card: typography, layout, color scheme, and even paper thickness. These days, there are even variations on size, shape and the orientation of the card. Make sure the choices you make in the design of your card are relevant to your business. There is a lot of room to be creative when designing a business card, but make sure you remember the purpose of your card: to pass along contact information. It is always nice when the first thing someone says after handing them a card is “Cool!” but if your contact information isn’t legible, your card isn’t useful. Be creative, but don’t lose sight of the card’s purpose. Make sure your contact information is legible in font choice, color and size, yet still shows a potential client what kind of personality your business has. It’s not a secret that you can order template business cards for free or very cheaply online. But I can’t tell you how many times I’ve seen the same card designs over and over again at networking events. It’s hard to set yourself apart from your competitors if you have the same card design as someone else. If you want your business to be taken seriously, consider spending the time and money on creating a brand that personifies your business. Be willing to invest in creating an image that will appeal to the customers you want to attract. By partnering with a designer or agency that understands your business and knows how to communicate your unique selling proposition, you’ll end up with a clear visual look and feel that will set your business apart from the rest. Conveying an effective message creatively can be difficult, but working with a professional can ease the process and give you a product that really shines. 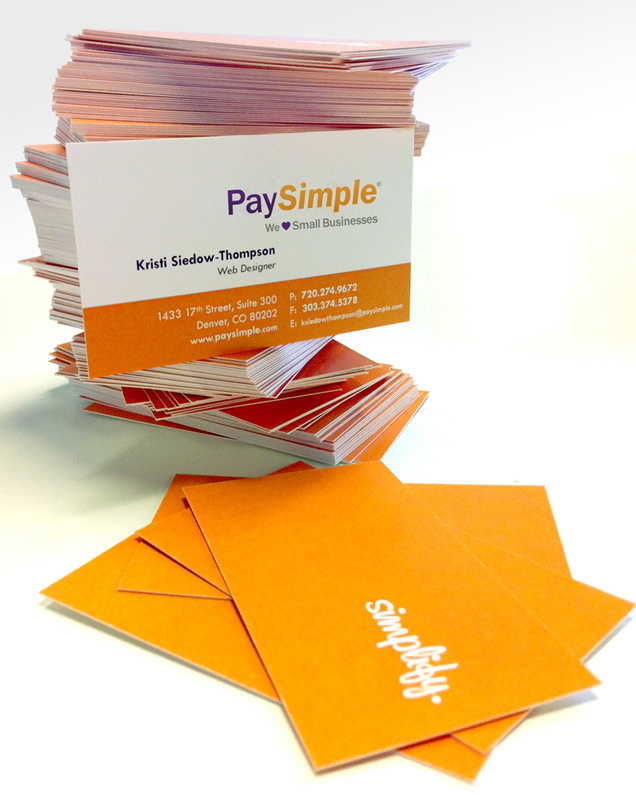 Although your card should speak volumes, it is important that your business is the center piece. A prospective client or business contact should always remember you over your card. A business card is only a subtle reminder that you would like to do business. However, remember that your business card isn’t the one doing business, YOU are. It’s only a tool to help you along the way. Never underestimate the power of good networking or a good sales pitch. Need some inspiration? Check out this compilation of 100 Really Creative Business Card designs to get your creative juices flowing. Good luck and happy networking!